"Improve security of corporate SharePoint/Microsoft Office 365 data"
Microsoft SharePoint and Office365 are one of the foremost deployed Intranet and Internet solutions for document collaboration in the world. Full file event auditing for all Office 365 / SharePoint file events. Audit Watch: Track real time activity of any file or even a folder stored on SharePoint/Office365. 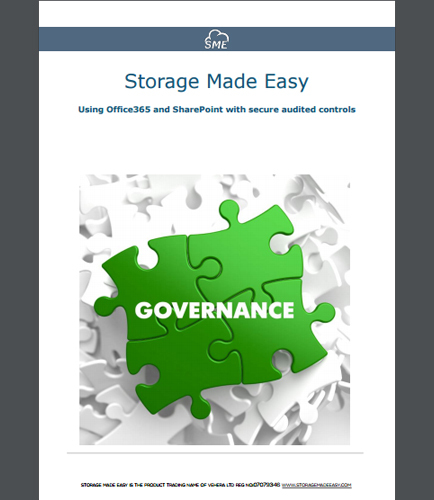 This whitepaper provides insights into how the Storage Made Easy Cloud Control solution can help secure Microsoft SharePoint, Office365 and other company data stores.